The Republic of Azerbaijan and Islamic Republic of Pakistan have a long history of diplomatic relations with each other. The commonalities between the two countries shape the relationship in a very unique way. Both states brace each other on important aspects of culture, political, economic and humanitarian levels. The bilateral relationship seems escalating and both are promoting peace in the region through their strategic partnership. The diplomatic relations between two countries were established on June 9, 1992. The Embassy of Islamic Republic of Pakistan to Azerbaijan was opened on March 12, 1993. Embassy of the Republic of Azerbaijan to Pakistan was opened on August 24, 1997. Azerbaijan gained independence in year 1918 and settled as the first democratic republic in the Muslim oriented world. The strategic location of Azerbaijan can be prescribed by delineated as crossroads or gateway between Asia and Europe. Initially, in Azerbaijan there was a phase of disturbed economy and political system but in 1993, President of Azerbaijan, H.E. Heyder Aliyev came into power. Pakistan has always been collaborating and fortifying Azerbaijan from diplomatic to economic, military and humanitarian development. No matter if its Khojaly Massacre, Nagorno- Karabakh conflict or Kashmir issue, both states stand by each other. Moreover, awareness on the need to focus on the domains of trade and defense sector can increase the chances of better partnership between both the states. Pakistan and Azerbaijan are of those states whose main interests include human rights protection as well as the strengthening of their economy and military. Pakistan and Azerbaijan relations are not restricted to their strategic partnership, they not only collaborate on culture, economic, diplomatic level but they also have people to people ties and supports on humanitarian level as well. Pakistan recognized Azerbaijan after Turkey, since the rejuvenation of Azerbaijan, state’s relations are strengthening with Pakistan. The main reason of having friendly relation between both the states can be the recognition of Azerbaijan by Pakistan. Both states seen siding with each other on international forums like United Nations. Azerbaijan and Pakistan has the potential to collaborate in spheres military and economy. Azerbaijan and Pakistan are also the member states of Economic Co-operation Organization (ECO) and Organization of Islamic Conference (OIC). Both states mutually pay visits to each other’s country. In 2014, Pakistan’s Former President H.E. Mamnoon Hussain presented the “Sitara-e- Imtiaz” to the first lady “Mehriban Aliyeva” of Azerbaijan for her services to Kashmir and parts of Pakistan through her foundation named as “Heyder Aliyev Foundation”. Pakistan and Azerbaijan need to focus on military, defense industry and economic development. The economy of Azerbaijan rely on oil and petroleum exports. Up till 2018, the export of Azerbaijan’s oil reached up to $368.93 with the total cost of $181.785 million. Countries like Uzbekistan, Tajikistan, Turkey, Georgia, Italy, Lebanon, Spain, China, Egypt, Bahamas, Romania, Malta, Singapore, and Afghanistan are the main recipients of Azerbaijan’s oil products. The economy of Azerbaijan gets affected because of other sectors such as agriculture and energy but as far as industrial sector of Azerbaijan is concerned it is well- established and produces huge numbers of products but it cannot generate larger revenues like the petroleum sector. Whereas, Pakistan has sufficient exports in the agricultural sector, she has greater textile industry and also manufactures better quality sports goods. Pakistan exports cotton, vegetables, and pharmaceuticals to Azerbaijan whereas Azerbaijan exports, aluminum, telecommunication equipment and plastic articles to Pakistan. Azerbaijan and Pakistan have been facing extreme security threats since their inceptions. Azerbaijan is in territorial conflict with Armenia over Nagorno-Karabakh and Pakistan with India over Kashmir respectively. This intimidating situation leads to the uttermost need of strong military capabilities. So, enhancing military potential is in interest of both states. 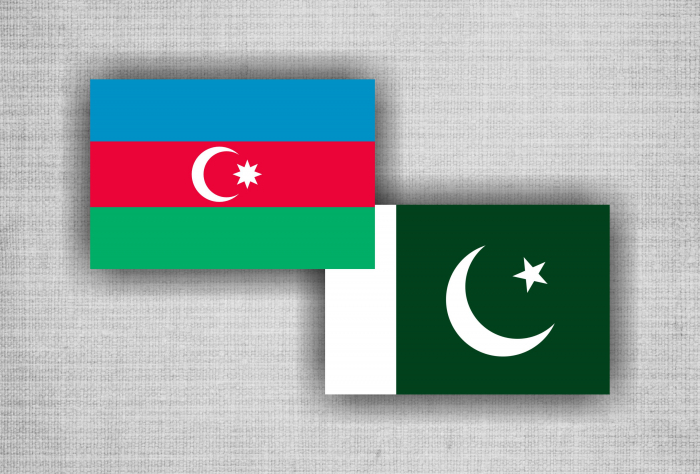 Military co-operation of both the states established after the signed the defense agreement, according to the agreement Azerbaijan and Pakistan can perform joint military exercises. In the umbrella of this agreement the Azerbaijan Naval forces took part in the Pakistan-led multinational naval exercises, known as AMAN-2013, held in 2013 in the Arabian Sea. Azerbaijan and Pakistan signed the Bi-lateral agreement on military co-operation in 2014, to strengthen the military sector. The following document was updated in 2015 and 2016. Azerbaijan has her keen interest in purchasing JF-17 from Pakistan. Currently, Azerbaijan possessed SU-25, MiG-21 and MiG- 29. Azerbaijan had also purchased ten Super Mushak trainer aircraft from Pakistan. During the 8th Working Group Meeting of Joint co-operation both the states discussed the ongoing security situation and future of the military co-operation. Azerbaijan is a prosperous country which had given women the right to vote much earlier before the European Countries. Azerbaijan and Pakistan has great sphere in military co-operation. Now, Pakistan and Azerbaijan extend to further collaborate on military cooperation and defense production. They have plans regarding joint military exercises. Both countries have significant importance in their region respectively and further want to collaborate. By keeping in mind that there is potential in both the countries to increase their trade with each other, there is also an utter need to promote tourism among both the states to generate mutually beneficial revenues. Both countries also have large area to engage the business sector of both sides for expanding more business and trade. Think-tanks can also play their role in collaborating on research. Pakistan gives significance to the region in terms to promoting better economic and trading relationship among them. Referring to the mega project like China-Pakistan Economic Corridor (CPEC) Pakistan should consider Azerbaijan to become part of CPEC. By doing this Azerbaijan can export goods to China and it would become the gateway to Asia and Europe which can be beneficial for the states to expand their trade. Direct airlines need to be started between Azerbaijan and Pakistan. There are much space in the trade economy among states. The business sector of Pakistan and Azerbaijan need to interact with each other for the effective business deals. There is a need to provide awareness regarding the brighten opportunities in government and business sector and the effective role of local chambers in Pakistan and Azerbaijan should need to play for strengthening the economy of both the states via trade because the prosperity of the nation largely depend on the greater economy of the state. Both of these states should need to sign Free Trade Agreement (FTA) with each other which could help the states increase the employment rate of the two countries and if both signed FTA, it would help these states to lower the cost of production because the trade article would reach to the destination in much lesser time. FTA would also help both the states to extend their markets. Azerbaijan and Pakistan have signed several Memorandum of Understanding (MoUs) which have need followed up, so that these agreements can be reviewed and implemented. Pakistan with collaboration of Azerbaijan can also initiate the scholarship programs for the students of both the countries. The author is Executive Director of the Center for Global & Strategic Studies (CGSS), a non-profit institution based in Islamabad.